The term Backplane PCB generally refers to larger format printed circuit boards that are used as backbones for connecting several PCBs together to ultimately form a computer bus. Typically, they do not contain active components; rather, they serve as a connection center between active duty PCBs. Backplane PCBs often incorporate a wide variety of features including blind / buried vias, high-speed / high-signal integrity materials, backdrilling, and controlled impedance. 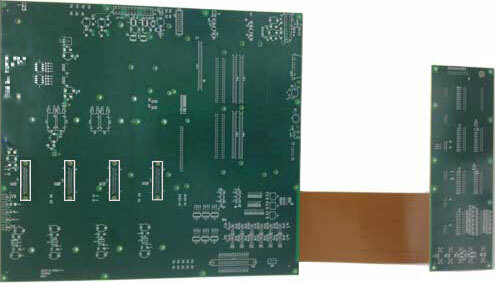 Backplane PCBs are generally used as a backbone within a system such as control panels for industrial, computing, military use. They provide greater reliability in connecting multiple PCBs due to their static nature, as opposed to cables that need to be flexed every time a card is removed, thereby reducing the life of that component / connection.